In 2009, Georgia Pacific operated a large plywood lumber mill in Louisville Mississippi. At the time, it was the largest employer in Louisville, located in east central Mississippi. Louisville was, according to the mayor, a “plywood town”. When the mill was shuttered in response to the Great Recession, all of the 400 remaining jobs were lost in the town of just over 6,600 people. In early 2014, Winston Plywood & Veneer made a commitment to the City of Louisville to restart the mill on a limited scale, but on April 18, 2014, an EF-4 devastated the town, killing 10 people and destroying over 1,000 structures including the 265,000 square foot mill. The town was subsequently declared a Federal Disaster Area by FEMA. Winston Plywood and the City of Louisville led by Mayor Hill, with the help of FEMA, MS Development Authority, Appalachian Regional Commission and many other local stakeholders, have realized a dramatic rebirth of this business with a brand new state-of-the-art facility that will employ 400 local residents. In October 2015, Novogradac and Company selected Winston Plywood & Veneer its Operating Business QLICI of the Year. Economic: The total local economic impact of this mill is in excess of $60,000,000 per year, and the impact will touch approximately 33 counties which is approximately 41% of the state. At scale, the facility will consume about 700,000 tons of logs annually, which will all be sourced from landowners within a 100-mile radius. These are new economic inputs and will have substantial impact on local logging crews, log truck drivers, the companies that service them and landowners that will now have higher demand for timber products. Jobs: 400 new quality jobs will be created with an annual payroll over $20,000,000. In addition, over 1,000 indirect jobs will be created largely in transportation and timber harvesting according to a study from Mississippi State University Stennis Institute. Community: In a community with 6,600 people, opening a brand new state-of-the-art mill on the site that was shuttered in 2009 and was wiped out by the 2014 EF-4 tornado will have an enormous impact. 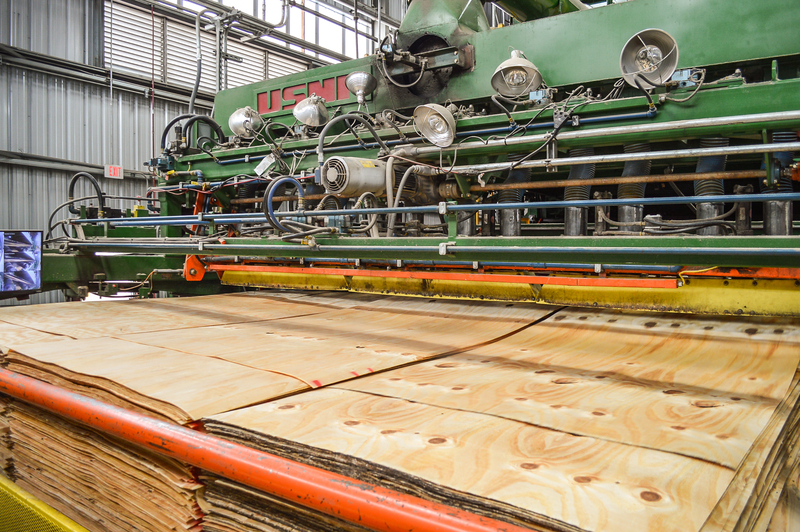 Overnight, Winston Plywood is becoming the second largest employer in Louisville. Workforce Development: Winston Plywood is working with East Central Community College and the local WIN Jobs Center to help source and train production candidates, including many residents of the area low income communities. Job prospects take a 32 hour custom-designed course for this type of business called “General Manufacturing” and become certificated and ready to work.